Do you run a robotics summer camp or a hands-on science program that is helping to educate the next generation of scientific geniuses? If so, you could qualify for a grant from the innovators at Honda, who are committed to improving society through science & technology. The American Honda Foundation engages in grant making that reflects the basic tenets, beliefs and philosophies of Honda companies, which are characterized by the following qualities: imaginative, creative, youthful, forward-thinking, scientific, humanistic and innovative. The American Honda Foundation provides grants to programs that meet the needs of American society in the areas of youth and scientific education, while strategically assisting communities in deriving long-term benefits. 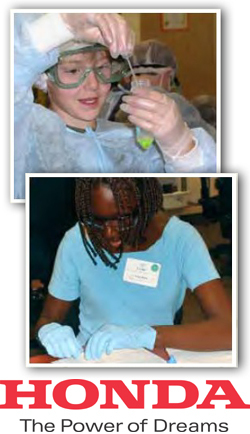 If you operate a summer camp or educational program with a focus on science, technology, engineering, mathematics, or the environment, you could be eligible for a grant of $20,000 to $60,000 over a one-year period. In order to apply, you must be a 501(c)(3) organization, public school district, or private/public elementary and secondary school as listed by the U.S. Department of Education's National Center for Education Statistics (NCES). The next deadline for applications is November 1, 2011. Group buying sites like Groupon and Living Social are wildly popular, but are they a good idea for selling summer camps? We noticed some of our camps offering deep discounts on enrollment through deal sites this season. Although these sites are a fast way to reach a wide audience, they can also have a down side. Because we care about our summer camp partners and want everyone to have a profitable season, we've put together a list of things you should consider before using a group buying site to fill your camp. You could lose money - Many group buying sites not only require businesses to offer their product at a 50% discount, they also take 50% of the revenue as their fee. Let's say enrollment in your camp costs $300 per child. Your deal would be offered at $150, plus you'd be forced to turn over half of each sale to the site. So you'd only receive $75 for a spot in your camp that could have earned you $300. You could lose loyal customers - Parents who have already enrolled at full price could see the discount deal and demand a refund for the difference. Many small businesses have also experienced current customers waiting to buy the discount deal rather than pay full price. It undervalues your camp - The summer camp experience is worth its weight in gold. By offering enrollment at half-price, you're telling parents that the price is negotiable. They may not be willing to pay full price in future seasons, waiting instead for a last-minute discount. Discounts don't build loyalty - Many businesses consider using group buying sites just once to find new customers. But savvy consumers have learned to deal hop, only patronizing businesses who offer a discount. The people who bought your deal this year won't necessarily come back next season. Abnormal Marketing - Are Group Buying Deals Good for Business? So what's the alternative for reaching parents who love a discount? 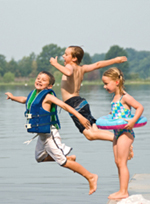 Invest in targeted, annual advertising on camp directories like MySummerCamps and KidsCamps. You'll be able to reach parents when they search year-round and drive thousands of people to your Web site. Announce discounts or coupon codes in your listing and invite parents to contact your camp for more details. You can also promote your usual early bird or sibling discounts in unusual ways. Purchase Facebook ads before your enrollment deadlines. Or advertise in email newsletters and blogs to draw attention to your discounts. Is your camp in full swing? Do you already have amazing photos & video from this summer? Share your camp activities on our Facebook wall! Post your photos or video, or just give us an update on how things are going this summer. We would love to drive traffic to your Facebook page.